The Canberra 48hr was held across the weekend, starting on Friday, March 15 through to Sunday, March 17 and it doubled as AURA’s 2019 48hr National Championship Event at the Australian Institute of Sport on a certified 400-metre track. 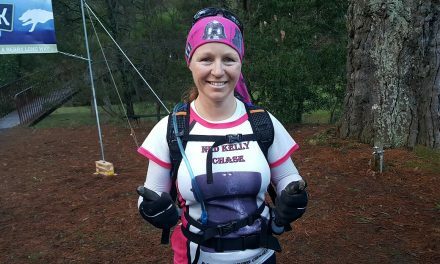 Also included trackside were the 24hr, 12hr, 6hr, 100km and marathon races and from all the social media posts doing the rounds from the ultra running community, the C48hr was a must-attend event. In the AURA 48hr National Championships, it was a stellar effort by everyone who ran. Congratulations to mighty Mick Thwaites from Banyo, Qld who always impresses with his determination to go further and faster than any of his personal bests. On the day, Thwaites finished 1st Male in the Championships and in the event itself with a total distance of 389.041kms. Massive numbers were also clocked up by Dan Symonds from Taringa, Qld who ran a 362.213km race for 2nd Male, and Werribee, Victoria’s David Billet who took 3rd Male for the Championships with a distance of 275.673kms. Results for the Championships in the women’s division were also impressive, and like a banner message written for her on the day to ‘Run like the Wynd’, Nikki Wynd from Lysterfield, Vic did indeed run like the wind as she secured a whopping 317.894kms to land her 1st Female. 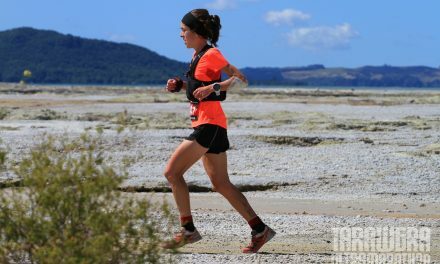 Not far behind her, sturdy congratulations goes out to the two ladies who took podium finishes with their results, including Kerrie Williamson from Cashmere, Qld who totalled 305.284kms for 2nd Female, and Victoria’s Cheryl Symonds who ran 284.520kms. Well done to everyone who ran in the 48-hour: Antony Sedman (269.742kms), Shephen Wright (268.004kms), Barry Loveday (254.400kms), Kris Ryan (252.880kms), Sabina Hamaty (248.163kms), Heather Christison (242.007kms), Duc Do (204.000), George Mihalakellis (200.400kms), Justin Scholz (187.065kms), John Timms (177.484kms), Jimmie Barnes (175.084kms), Tony Wilms (161.200kms), Gemma Worland (146.063kms) and Karen Chan (15.483kms). 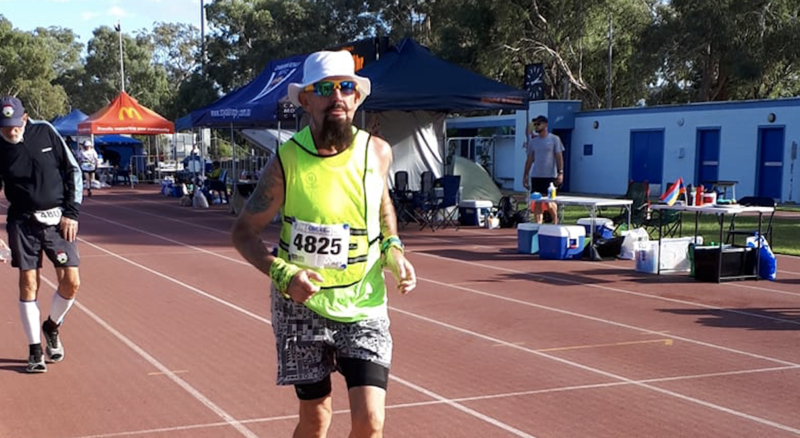 In the 24-hour event, AURA’s very own John Pearson from Coolum Beach, Qld took away 1st Male out of all participants with his efforts to finish at 237.113kms while Wagga Wagga’s Rick Storrier’s running career just improves day after day after he secured 2nd Male with 216.11kms. Amazing running by all those who raced as AURA members, including Stephen Kiley (164.833kms), Kelly-Ann Varey (132.222kms), Steven Houldsworth (130.136kms) and Samantha Post (126.681kms). AURA members were on fire at the weekend, because as we look at the 12-hour division, Kevin Muller from Wodonga, Vic secured 1st Male with 134.801kms while Malcolm Gamble took hold of 2nd Male (131.309kms) and Stephen Redfern claimed 3rd Male (125.634kms). The women rocked the track as well – Tia Jones from Ipswich, Qld claimed 1st Female after a stunning effort of 123.247kms and Simone Hayes, whilst giving Jones a run for her money, finished in an amazing 113.632kms. Well done to all those who participated in the 12-hour, including John Nuttall (77.496kms), Robert Boyce (72.000kms), Stephen Lewis (60.420kms) and John Shaw (41.600kms). In the 6-hour division, national treasure Brendan Davies from Woodford, NSW took top marks as he took control of his race and walked away 1st Male with 81.319kms. Also looking strong throughout the event were Ewan Horsburgh from St Ives Chase, NSW who claimed 2nd Male (72.605kms) and Matthew Eckford from who landed 3rd Male (69.225kms). Kerrie Bremner from Nicholls, ACT led the way for the women and took herself a sturdy 1st Female to land with 55.076kms. 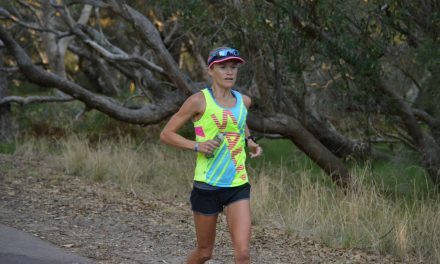 The Canberra 48 Hour Race is an ultra running event that is simply not to be missed. The next races on the AURA calendar include Duncan’s Run in Gippsland, Vic this Saturday, March 23 and the rescheduled Round 1 of AAA Racing’s Hill Climb Challenge, also on March 23 but in Beerburrum, Qld. Pictured: Mick Thwaites taking on the 2019 AURA 48-Hour National Championships. Photograph – Supplied/Facebook.